THREE (Post) Christmas Miracles from Deschutes! I bow to no man (or woman or any other sentient being in the universe who’s capable of operating a computer) at taking an idea that can be expressed in 500 words and giving you 3,000. 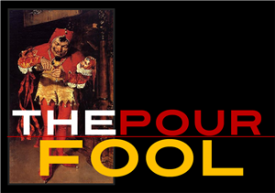 That’s The Pour Fool: more words for your cranky internet beverage writer dollars! But, just in the last ten days, I received THREE – count ’em, THREE! – new releases from Deschutes Brewery of Bend. Oregon, a firm whose products I’ve covered for the entire time I’ve been writing this fecund little bloglet. Seldom is heard a discouraging word about the Deschutesers in this space and I’m still – after seven years of patiently explaining, “No, Ricky from Paducah, I am NOT on the payroll of Deschutes Brewery” – accused of taking some wort of moist payola. The short explanation of why you read about every time Deschutes breaks wind in this blog is a simple two-parter: 1) They send me samples of almost every new release, and 2) they’re really, REALLY good. And. today, none of that is going to change here. Deschutes “Red Chair” NWPA (Northwest Pale Ale) has been called, by no less an authority than The World Beer Awards, ‘The World’s Best Beer”. No qualifiers, no hedging, unequivocal: “The World’s BEST Beer“. Okay, let the questions about payoffs begin. These three from, Deschutes are all the evidence anybody should need that this Bend icon lays definite claim to the title of one of America’s Top Five Breweries. Yay, a conversation on Pour Fool! Steve, thanks so much for your thoughtful reply on aging. This inspired me to take a hard look at my collection and commit to opening and enjoying more aged beer in 2015, as well as putting more away for future comparison. Scarcity is a real thing for the common consumer though, and if I get just one or two bottles of something precious, it’s hard to crack it open and not wonder what a year in the dark would do. I think the Dissident will sit for awhile. I did very recently open a 5+ year old bottle of The Stoic and found it to be simply remarkable – but wish I had a reference point as it HAD to be a very different brew when fresher. WCBG, talking about pricing for Deschutes makes me laugh. When I lived in Seattle I gorged on tap Abyss and giggled like a little girl when I cleared out the local QFC of all. the bottles. they had. Now that I live in CA, I start bugging the local Total Wines and my very special bottle shop WEEKS in advance to see when Abyss will arrive so I can be get my fix. I beg and plead but rarely can get more than a single bottle at a time. It is always gone in a day. This year I got my paws on four bottles and was a little teary over my good fortune. Two were $17.99 and two were $18.99. You know what? That was the most satisfying, worthy, gleeful 75 bucks I will spend all year. Every sip of every bottle will give me more satisfaction and enjoyment than anything a hundred times the cost. We live in staggeringly good beer times. Some pretty darn good beers out there for half the cost, I see lots of bottles of their Black Butte XXVI sitting on the shelves still and in some places the Abyss isn’t flying off the shelves either. It’s an interesting pricing strategy that is about to get way more competitive in the next few years. I got my one and only Dissident last weekend at my local bottle shop. I asked my favorite clerk about a sour to drink now and he pointed me to… the same Petrus! Looking forward to both, but I am curious – how do you feel about reviewing bottles now that specifically recommend a year or more in the cellar? Are you tasting the intent of the brewmaster by drinking a style like this so soon after release? Does cellaring make enough of a difference in your opinion to even bother with? Greg: Great question and one that I might not have gotten to if you hadn’t brought it up. The short answer is that everybody – from the brewer to the brewery staff to chemists and right on down to me – are guessing when we say how well a beer will age. But the question of IF they age and sometimes improve has been settled for a hundred years. BEERS AGE – SOME beers. Just as some wines are not built to age – not enough tannic structure, dissolved solids, acids, alcohol, etc. – some beer styles, generally the lighter ones, don’t have the aging potential of darker beers and those with higher terminal gravity. Great traditional Stouts – as opposed to modern Stouts that are made with a huge hops component – can age for years and improve significantly. The Abyss is a perfect example, as is Parabola, Dark Lord, Yeti, Speedway, KBS, and hundreds of others. Ditto and moreso for Barleywines, Strong Ales, Old Ales, and many Belgians. Improvement in aging is caused by the slow ripening and chemical interactions of new organic materials present and this has been done for centuries in wine. It’s beyond debate and SHOULD be beyond debate about beer. And in beers like Dissident, the effect, while sometimes not as long lasting and reaching full effect much sooner, is even more dramatic. Case in point: when I ran LetsPour, a major (for a while) online beer retailer, we had an offer of about fifty cases of Brux, the collabo from Sierra Nevada and Russian River. Brux is a “domesticated wild ale” and is brewed using yeasts that occur naturally and create a sour character. When it came out, many people didn’t like it and thought it had no potential. We immediately sold 28 cases of it before its lukewarm reviews on BA and RB, but it sat at the distributor’s warehouse. We picked up the rest of their stock at a considerable reduction, as I felt that it DID have significant potential to make a beautiful, funky tart ale, given time. We took it off the site and waited, from December to the following June. I retasted it and found it really gorgeous. And we sold out within a week. I’ve been tasting, studying, and writing about beer since 1973 and have cellared a LOT of beers. Some pan out and some don’t. But the catch is, to review them at all, I have to do it when they’re new and stick my neck out a bit. I’ve thought, many times, about going back and reviewing some past “vintages” of The Abyss or some of my long-held Barleywines but, really, what’s the point? They’re SO gone off store shelves that 98% of the people who would read my reviews will never be able to lay hands on a bottle. I have a 2003 Petrus now, sitting in my cellar and waiting to drink. But you’d never find a bottle, if you got excited by the review. I still have Brux and it just keeps getting better. And you MIGHT find a bottle or two of that. And, if you do hold a Dissident or any young cellarable ale, keep it in a cool, dark place, don’t think that it’ll age forever, ’cause it WON’T, and leave it at least a year, if you want to get the full effect. For a Barleywine, maybe two to three years. But as to whether it’s “worth it” or not, that depends on what you want to experience. I routinely age a LOT of beers that should NOT be aged, like IPAs, simply because I want to find out for myself what happens and I’ve found that, while those beers are almost always NOT anything like what they were intended to be, if you drop your preconceptions and categories and expectations and just focus on what’s in the glass, they can be really surprising. I aged a six pack of 21st Amendment’s “Brew Free or Die” IPA for fourteen months, and opened it in May of 2013. It had lost almost all its hops character but had “grown” flavors of coconut cream pie and caramel and a woodsy kind of mellowness. I enjoyed every can of the stuff, even though I suspect my pal, Shaun O’Sullivan, 21A owner/brewmaster, would be horrified at the thought. The best way to know how you’ll feel about aging is to try it. I can tell you about aged beers until we’re both bored to death but ONE mouthful of a properly aged beer will explain it much better. Get a couple of bottles of something like The Lost Abbey’s “Angel’s Share”. drink one immediately and then one a year later. Voila! : questions answered. Interesting commentary about reviewing aged beers, I tend to do it and more so because I enjoy it but I have started to move towards reviewing the beers when they are still on the market. I am curious what you think about the price of Deschutes special releases these days, do you think they will eventually come down (since they seem to be brewing a LOT more these days) or do you think the price will go up? By the way I love Deschutes Red Chair, what a great beer at an amazing price. I’ll be glad to pass along your question about pricing to Deschutes and see if anyone there can give me an idea of both their current production runs and future plans but, whether we all like it or not, beer is rising in price, at least for reserve or aged beers. I personally think that $12 for a bottle of The Abyss or Black Butte XXVI is quite reasonable, and Deschutes, like New Belgium and Sierra Nevada and Bridgeport and a Full Sail keeps the prices on their year-round production beers almost crazy cheap. A 22 of Cinder Cone or Mirror Pond is going to run ya around $4, and even the reserve stuff isn’t as expensive as a LOT of other breweries comparable editions. Don’t count on The Abyss coming down much, though. The cost of brewing that stuff is about 3.5 times what brewing anything else they make runs. It runs for about $23 a bottle in Washington and British Columbia for both The Abyss and Black Butte XXVI, still lots here! Yet Cinder Cone is $5.09 Canadian, with the exchange about $4 USA.